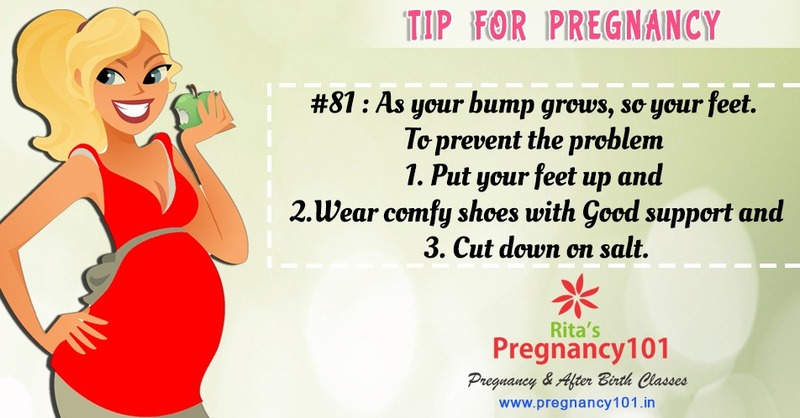 As your bump grows, so your feet. To prevent the problem 1. Put your feet up and 2. Wear comfy shoes with Good support n 3. Cut down on salt.